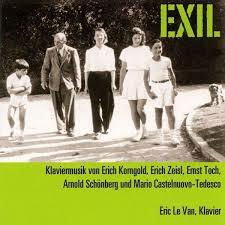 The label Music & Arts released a CD by American pianist Eric Le Van entitled 'Exile' and featuring several world premieres by composers who fled Europe when nazism and fascism endangered their life. The recording provides valuable insight into the artistic life of Southern California, infused as it has been by émigré transplantation of a veritable golden age of achievement in music. Remy Franck made the following interview with Eric Le Van about his CD which is reviewed in our CD Reviews section. What was the starting point to conceive the program of your CD Exile? The idea of ‘Exile’ was not mine, but that of the President of Music & Arts Programs of America, the late Frederick Maroth. Mr. Maroth thought it would be musically and culturally significant to bring to light works by composers who fled Europe to settle in the Los Angeles area during the 1930s. These composers were part of the exodus of about 30,000 artists and intellectuals who escaped from fascism and for a time transformed Southern California into one of the cultural capitals of the world. I was intrigued by the idea, as I have long been an enthusiastic advocate for unjustifiably neglected repertoire. At the same time, I am adverse to embark on a project for reasons of human interest alone. I prefer to think that it is only the quality of the music that justifies the project. As it turned out, I was delighted to discover works of exceptional expressive power and beauty, works that possessed the unmistakable imprint of inspiration. How did you proceed? Where did you make your research, since some of the works on the CD have never been published? Most of the research took place at the UCLA Library, including in their Ernst Toch and Erich Zeisl special archives. Barbara Zeisl Schoenberg, Zeisl’s daughter and wife of Ronald, Schoenberg’s son, provided me with the unpublished manuscript of November. It was not easy to decipher. Malcolm Cole, a Zeisl scholar and emeritus professor at UCLA, helped me prepare a clean copy. 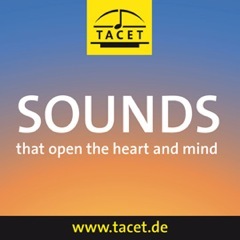 Some of the works had been published but were difficult to find, such as Toch’s early Scherzo in B minor and Mario Castelnuovo-Tedesco’s Fandango from Greeting Cards. It took some effort to obtain Tedesco’s Cielo di Settembre op.1, which he composed at the age of 15. I had it sent to me from the Tedesco archives at the Library of Congress. It only exists in manuscript form with some interesting remarks about its history in the composer’s hand on the cover page. Do you like such an ‘archeological’ work? I did very much enjoy the process of discovery. Researching the project turned out to be a thrilling experience. I sifted through a lot of material — there is a vast body of work by exiled composers waiting to be brought to light — before unearthing some rare gems. How did you compose the program? Did you have more music to choose from and if so, what was the guideline for your selection? I had no preconceived notion of what the program would be, but rather I allowed it to naturally take shape according to my findings. The guiding criterion in my ‘archeological’ project was to choose only those works which possess, in the words of Vladimir Nabokov, that « sensuous spark, without which a work of art is dead. » Above all, I didn’t simply want to record a recital of disparate pieces by composers who experienced similar fates and trajectories in history. I was looking for coherence, not stylistic coherence — there happens to be a variety of styles represented — but aesthetic coherence. The recording is first and foremost a concept, one in which the themes of nostalgia, alienation, and a longing for irretrievable things run throughout. In the end, the idea of ‘exile’ transcends the contingencies of any particular time and place, and becomes a metaphor for the predicament of all true artists. An artist will always be an exile, will always be at odds with his surroundings. In some instances, the burden of external pressures appears impossible to surmount. Despite this, he refuses to be crushed by the diktat of a government or an institution. Neither will he submit to the demands of mass culture, or to a coterie of academics advocating Modernism exclusively. These themes, which I treat in my liner notes, were the overarching raison d’être of the project. 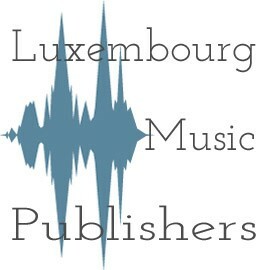 Do you think that your choice is representative for the composers? My selections for the most part represent the composers’ creation before their move to the United States. Despite this fact, these works encapsulate the theme of exile, but in a paradoxical way. In the case of Korngold, who likely composed his Four Waltzes in 1911 at the age of 14, his highly advanced harmonic style is already present. Throughout his life, the style was to remain fundamentally unchanged. These pieces, as in much of Korngold’s production, enchantingly capture the essence of childhood. Korngold was to return to such evocations of childhood throughout his life. I think this is due to the fact that for him, as for many other exiled composers, art was a refuge, a space set apart where the qualities of freedom, independence, tenderness and charm exist as the norm. It is a place that despots and dictators can never touch or never have access to. It is impervious to philistine fads. Zeisl’s November, written from 1937 to 1938, perfectly expresses the sadness, desolation, and despair following Kristallnacht on a November night. The set is highly representative of what he was about as a composer. Although begun in 1937, the pieces composed before these tragic events are strangely premonitory. Schoenberg’s pieces of 1911 also eerily capture the sense of alienation experienced by exiles, although they were composed long before the persecution began. These examples perhaps illustrate how composers are capable of creating outside of time, so to speak, by exploring the depth of human experience. In some strange cases, it is life that appears to reflect art, and not the other way around. You call your program ‘Music by composers with roots in two continents’. Though the European roots are obvious, where is the American counterpart in the various pieces? Is there any American element? ‘Roots in two continents’ refers to the fact that all five composers, although deeply rooted in European tradition, had to by necessity establish new roots in America, which to some proved to be a strange and puzzling place. They had to rebuild their lives, sometimes at a late stage in their career – Schoenberg was 60 when he emigrated – and reinvent themselves as American composers. The tragedy of the situation was that in their hearts, both culturally and spiritually, they felt European, but the Europe they longed for rejected them and had changed beyond recognition. In America, their marginalization continued to a certain extent, in that the masses remained indifferent to the kind of sophisticated music they were producing. In Europe, audiences may at times have been scandalized by their work, but at least they did not ignore it. To a composer, there is nothing worse than the feeling that he is irrelevant. As a result, some turned to film scoring, with varying degrees of success. Korngold was the most celebrated composer in Hollywood. Castelnuovo-Tedesco and Toch also made important contributions to cinema, whereas Zeisl and Schoenberg were mainly frustrated by the experience. What is, according to your experience, the most challenging thing about playing such a program? It is always challenging but also gratifying to record works for the first time without reference to other versions. In these circumstances, one is forced to create a first vision which – who knows – may someday start a tradition of its own. Another challenge for me was that I wanted to establish an aesthetic connection between all of the composers. In my liner notes, I posit that all five composers’ approaches were deeply rooted in 19th-century ideals, and that any modernistic developments were a natural outgrowth of these ideals. I reject the definition of music as simply ‘organized’ sound, and I think that all of the other composers, including Schoenberg, would have rejected it too. Music is always a metaphor for something beyond the sound itself, and it is only through the imaginative faculty that we are able to understand sound as music. And likewise, much of this music explores states and modes of being that stir beyond appearances. Schoenberg strives for this in his Six Little Pieces, which on the surface seem rather simple but demand the utmost in inflection and expressive agogic accents. Interestingly enough, Korngold, Zeisl, Castelnuovo-Tedesco and Toch, although belonging to very different musical worlds, demand an equally subtle approach to eloquent phrasing and nuance. Zeisl’s November exists also in a version for chamber orchestra, recently recorded by the UCLA Symphony Orchestra. Zeisl is a composer who has been far too much neglected. 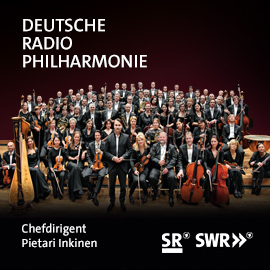 Do you think that with such recordings the composer could find a way back to the concert halls? 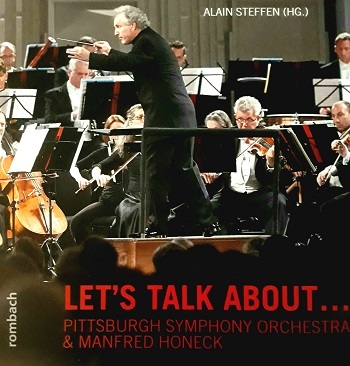 I certainly hope that such recordings will spark a greater interest in his work, and that as a result, they may be heard more often in concert. In programming, I am more interested in the merit of the piece itself than in the fame of the composer. Unfortunately, an inferior work by a composer with a recognized name has a much greater chance of being heard than the undiscovered yet outstanding work of the unknown. 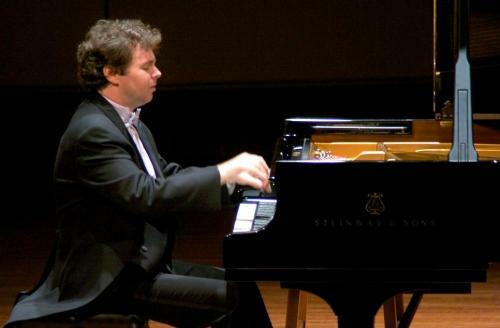 Do you play yourself works by him in your recitals? I have performed all or some selections from November in recitals in both the USA and Europe, including world premiere performances in Los Angeles and Bonn. Which work is the one you prefer on the disc? If I really must choose, I would say that among all of the selections, Zeisl’s November most poignantly captures the essence of exile; for this reason, they are especially moving to me. The eight pieces of the set depict the raw emotions of longing, loneliness, and regret in a very concise way. Zeisl described them as « different moods of November painted in music with very thrifty means in the manner of black and white Chinese ink drawings. » It is Zeisl’s directness and sincerity of expression that drew me so strongly to these pieces. They are completely unpretentious, very modest in scope. They have none of the sweeping confidence and freedom of the Korngold pieces, for instance. Yet, because of this very modesty, they possess a rare degree of fragility, of vulnerability, that makes them all the more touching. You often play together with your children as ‘The Le Van Family Musicians’. Would your kids be interested in the music of those forgotten composers? I know they are interested, as they keenly followed the project from its inception. In general, my children have shown a good deal of curiosity towards familiar and unfamiliar composers alike of various styles and genres. Recently, I recorded a CD of French art songs for the Italian label Sheva Collections with my daughter, 16 year old soprano Solene Le Van, featuring the music of Reynaldo Hahn and Emile Paladilhe. Much of the Paladilhe had never before been recorded, although it is music of a singular charm and refinement. The review of the CD ‘Exile’ is available in our dedicated section.